This week is an important one for Brexit with the key vote on Theresa May's deal due tomorrow. If you're not quite sure what is due to happen after that, BBC Breakfast has put together this handy guide. Last week, US President Donald Trump was praising the work of Tim Cook at an American Workforce Policy Advisory Board meeting when he appeared to call him "Tim Apple". But he was actually saving words and time, as he explains below. 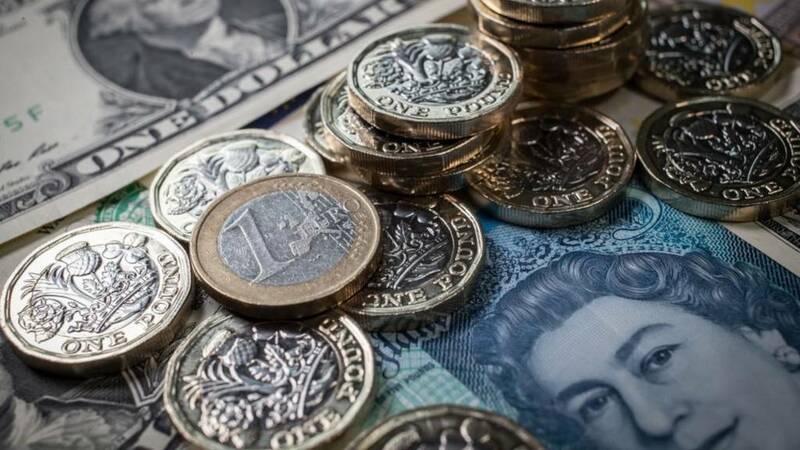 A Bank of England Monetary Policy Committee (MPC) member has warned that business investment is likely to stay low for the next few years due to ongoing uncertainty over the impact of Brexit. Jonathan Haskel said Britain might need more than the 21 months foreseen in the withdrawal agreement that Prime Minister Theresa May struck with Brussels last year, which is due to be voted on tomorrow. "Second, to make long-term investments, an investor also needs ... to know the future trade relationship that we strike. That is far from certain," he said in his first speech since joining the MPC in September. US retail sales rose 0.2% in January, according to official figures. The increase is better than forecasts for no change, but the December number - which was already much lower than expected - has been revised even lower to a 1.6% drop. Pantheon chief economist Ian Shepherdson says the figures imply a 0.2% downward revision to fourth quarter GDP. But he believes the December plunge is still an outlier. "This is not the end of the story. "The official data are subject to endless further revisions, and we remain of the view that eventually they will be revised higher," he says. A probe by the Pensions Regulator into Johnston Press, the publisher of newspapers including the i, the Scotsman and the Yorkshire Post, has been dropped, according to the Financial Times. The UK regulator was investigating whether it had abused its safety net by using a controversial insolvency mechanism to get rid of its pension liabilities. The Pensions Regulator opened an investigation last November after the publisher used a “pre-pack” insolvency to keep the business afloat. The mechanism allows a firm to go into administration with its assets subsequently sold on to a new buyer, minus liabilities such as pension debt. Canada's Barrick Gold has withdrawn its hostile $18bn takeover bid for Newmont Mining Corp. Instead, peace has broken out between the world's two biggest gold producers. The companies have agreed to create a joint venture for their mining operations in Nevada. Under the terms of the agreement, Barrick will hold a majority stake of 61.5% in the venture. "We are finally taking down the fences to operate Nevada as a single entity in order to deliver full value to both sets of shareholders," said Barrick chief executive Mark Bristow. US jeans giant Levi has set a price for its forthcoming listing on the New York Stock Exchange. The ticker for the 145-year-old company is set to be LEVI. The denim firm says it plans to offer 36.7 million shares in the listing priced at between $14 and $16 each. It expects to raise up to $587m from the float, which marks its return to public markets after more than 30 years. Are you owed money by Interserve? UK shares have come off the high points hit earlier on today, but the FTSE 100 index is still up 41.25 points at 7,145.56. The FTSE 250 index is 25.57 points higher at 19,073.24. The mid-cap index is being helped by the gains seen at OneSavings Bank and Charter Court Financial Services after they announced a plan to merge. Shares in both banks are up by more than 9%. Following yesterday's crash of the Ethiopian Airlines Boeing 737 Max-8, a spokesperson for the UK Civil Aviation Authority, said: "Our thoughts go out to everyone affected by the tragic incident in Ethiopia yesterday. "There are currently five Boeing 737 Max 8 aircraft registered and operational in the United Kingdom. A sixth aircraft is due to enter operation later this week. "The US Federal Aviation Administration (FAA) is responsible for certifying all Boeing 737 Max 8 models and it is the European Aviation Safety Agency (EASA) that validates this certification across the EU, including the UK. "The UK Civil Aviation Authority is liaising very closely with the EASA as the facts of this incident are established." Some downbeat news from the eurozone's largest economy this morning. Industrial output in Germany fell by 0.8% in January, official figures showed, which was far worse than analysts' forecasts of a 0.5% increase. The fall was triggered by a 9.2% plunge in car production during the month, although this decline was blamed on one-off factors such as strikes at car suppliers. Germany's economy narrowly avoided falling into recession at the end of last year, and last week the European Central Bank (ECB) offered some more help to the eurozone. The ECB said it would not raise interest rates until next year at the earliest, and it also unveiled a round of fresh stimulus, offering banks cheap loans. Several airlines have grounded Boeing 737 Max 8 jets following the deadly Ethiopian Airlines crash. China's aviation regulator has ordered domestic airlines to suspend flights using that model. Ethiopian Airlines and Cayman Airways, have also grounded their 737 Max 8 aircraft. Other airlines - which use the model - such as Flydubai and several North American airlines - have said they are monitoring the investigation. If you're wondering which other airlines could be affected, there's a full list here. Safran isn't the only airline affected by the Ethiopian Airlines crash on Sunday which killed all 157 people on board. Shares in Boeing - which makes the 737 Max 8 jet involved in the crash - are currently down 9% in pre-market trade. Shares in Charter Court Financial Services and OneSavings Bank have both jumped by more than 10% this morning following confirmation they are in advanced talks over a possible £1.6bn merger. The challenger banks said the combined group would create a "leading specialist mortgage lender in the UK with greater scale and resources to deploy on growth opportunities". The potential tie-up comes amid a flurry of consolidation in the sector following CYBG's acquisition of Virgin Money last year and FirstRand's recent acquisition of Aldermore. Missed Wake Up to Money this morning? Smart speakers, baking trays and electric toothbrushes are some of the items which will now be used to help calculate the cost of living in the UK, but three-piece suites, washing powder, envelopes and hi-fi systems are now out of favour. Flavoured tea, peanut butter and shop-bought popcorn have also been added.